Since computers have become a lot more compact and more powerful, smaller units have become common. A laptop can do a lot more than the older units could. Please check Portable ultrasound. The rebuilt ultrasound devices offer the same quality images as the new models at about half the price. That is why more clinics and doctors are going to the refurbished ultrasound equipment. Back to Genesis ultrasound machine Home page. 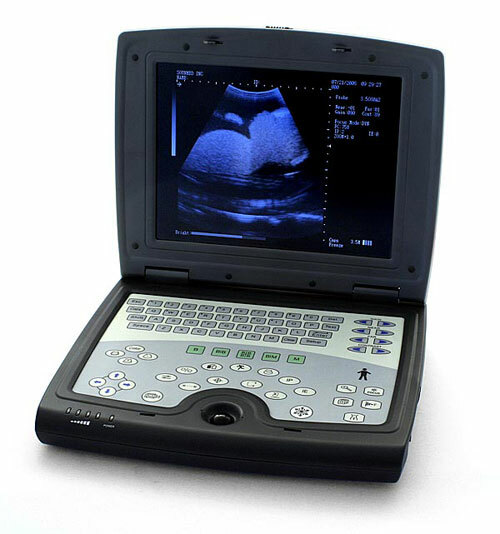 Also, in a new development, a new hand held unit working with mobile phone technology combined with ultrasound imaging.